Supercheap Auto is a leading automotive parts and accessories retailer. Supercheap Auto retails auto spare parts, tools, car accessories, air compressors, performance parts, car care, tools, hardware, storage, 4WD, outdoors and camping equipment, with over 290 stores across Australia. NOTE: eShop Vouchers not accepted for this product. Supercheap Auto is a leading automotive parts and accessories retailer. 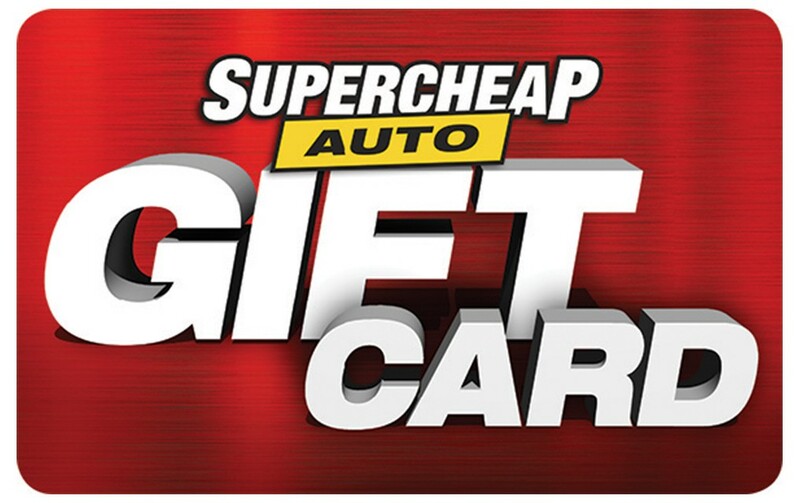 Supercheap Auto $50 eGift Card Supercheap Auto retails auto spare parts, tools, car accessories, air compressors, performance parts, car care, tools, hardware, storage, 4WD, outdoors and camping equipment, with over 290 stores across Australia. PLEASE NOTE: eShop Vouchers Codes MAY NOT be redeemed for this product. Refer FAQS #15.
eGift Card Terms and Conditions are clearly listed on the eGift card. Gift Cards are treated as cash and cannot be replaced if lost or stolen. Gift Cards funds available can be verified on request or at time of purchase. No change is given and any balance that remains on the eGift Cards can be used in whole or part against future purchases at participating stores. Gift Cards have No Expiry Date. Super Retail Group Services is the issuer of the Supercheap Auto eGift Card but is not the promoter of the offer, nor responsible for fulfillment of the offer terms. Gift Cards are redeemable at participating stores only. Participating stores may change from time to time.